A humble weed grew in a cracked city sidewalk. Now it’s the Christmas Weed, a festive holiday destination. Alyssa Emrick and her family were on their way home from church on Dec. 9 when they spotted an unusually tall weed growing at a busy intersection on the west side of Toledo. Her brother and grandmother agreed, so they sprung into action, pulling over at a Walgreens to buy tinsel and then darting across the road to reach the traffic island where they had spotted the sad-looking shrub flapping forlornly in the breeze. Once its branches had been adequately festooned with glittery garlands, they headed home. In the days that followed, new photos of the bedecked Christmas weed began appearing in Emrick’s Facebook feed. Much to her surprise, passersby had added decorative touches of their own, hanging glittery ornaments and unplugged Christmas lights. Someone wrapped a tree skirt around the weed. Then, someone else placed a miniature toy train at its base. By the following Sunday, the weed had inspired a Facebook page, Toledo Christmas Weed, and thousands of fans. Along with stockings and Santa hats, community members left behind presents of socks, sneakers and scarves, as well as nonperishable food for people in need. Instead, the Christmas weed — “the total embodiment of the Spirit of Toledo,” one Facebook commenter wrote — became an unexpected highlight of the season. One family used it as a backdrop for their holiday photos. Others made plans to gather at the intersection and sing Christmas carols. 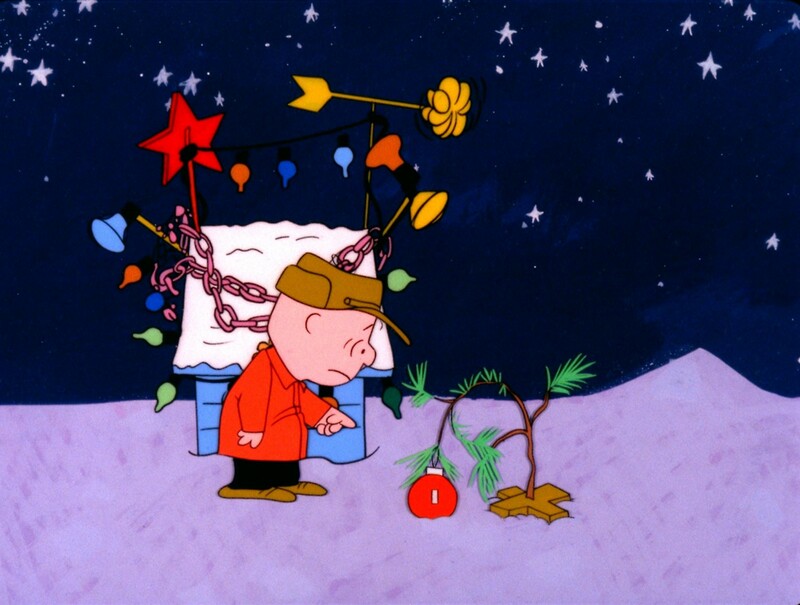 All the attention on social media had one downside: Someone attempted to “steal” the Christmas weed and removed some of its branches in the process, Emrick said. But what was presumably a mean-spirited prank did little to diminish the Christmas cheer. “Instead of people getting angry, someone put a dead potted houseplant there and replaced it,” she said. By Wednesday, when a man in a Santa Claus suit showed up and started waving at cars passing by, a whole corner of the traffic island had been covered in gift-wrapped presents, candy canes and sparkling bows. The humble weed and its potted companion were barely visible at all. “Merry Christmas Toledo!” a sign proclaimed. Amid all the jokes about how, no, it wasn’t that kind of weed, commenters also expressed an earnest appreciation for the spontaneous display of Christmas spirit. “There is a lesson to be learned here; With love, caring and attention anything, and anyone can be a light to others,” one resident wrote. Emrick never expected the Christmas weed to become such a widely beloved phenomenon. Her dad, who came up with the idea, didn’t even believe her when she told him how popular it had become, she said. But she has a theory about why it happened. He walked free after confessing to sexually abusing a 13-year-old. A drunk prosecutor is to blame.